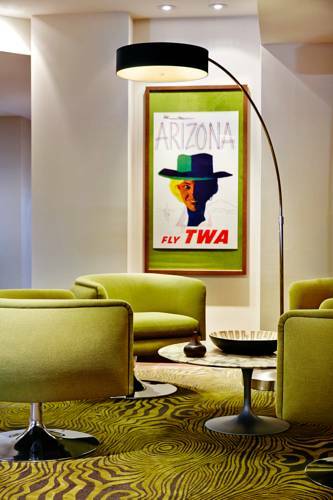 Discover luxurious decadence in downtown Phoenix's vibrant landscape at Renaissance Phoenix Downtown Hotel. Offering 4-Star services and urban decor, our convenient hotel boasts an ideal location near an incredible array of attractions, including the Phoenix Convention Center, Chase Field, Talking Stick Resort Arena and the Phoenix Art Museum. If visiting Phoenix for business, host your next inspiring event in our sophisticated event space with over 51,000 square feet. When finished with work for the day, refresh your energy with a workout in Thrive Fitness Center, or treat yourself to tasty Southwestern cuisine at Dust Cutter, our popular, cowboy-inspired restaurant. Unpack your bags in thoughtfully-appointed hotel accommodations with modern sophistication and second-home comfort. Enjoy pillowtop bedding, designer bathrooms and high-speed Wi-Fi access. Or, upgrade to a hotel suite for deluxe amenities and exclusive Club Lounge access. The Renaissance Phoenix Downtown Hotel wants to make your stay flawless. Dust Cutter: Explore the bold, fun flavors of the Sonoran Desert at Dust Cutter, our signature restaurant in downtown Phoenix. Relax in our unique atmosphere featuring modern cowboy d cor, delectable food and hand-crafted, specialty cocktails from our urban saloon. Marston's Cafe: Join us at Marston's Cafe for a tasty breakfast experience before exploring Phoenix. Relax with a cup of coffee in our charming restaurant while ordering hearty breakfast fare from our innovative menu prepared with local produce and fresh ingredients. Starbucks : Boost your energy before a big day in downtown Phoenix with a Starbucks beverage and a delicious pastry. Our on-site Starbucks restaurant features freshly-brewed coffee, various teas, tasty sandwiches, snacks and a selection of grab-and-go options.